Keeping your golfing skills tight is not an easy prospect. After all, there is only so much a golf enthusiast can do when they are not actually at the local greens. Putting can be practised on the living room carpet, or an a rudimentary roll out practice green, free swings can be practised, or a bit of research reading can be done. All these home activities are great, and certainly worth it. There is, however, an excellent level of home practice that can be achieved, if one has their own personal practice green. All you have to do is build it, on a little piece of spare garden. You might be laughing off the idea, or throwing up your hands and saying the mere concept is madness, but it really isn’t as difficult as you might think to build a gold green. And no, we don’t mean a primitive gold green, but one that would pass inspection by professional grounds keeper. The first step is to select a location for your practice green. This, as you might imagine, is the most important part of the process. It certainly won’t do to put effort into making your practice green, only for it to be flooded when the next rainy season hits. Put a great deal of thought into the location, being sure to consider the various factors involved. First, as already mentioned, ensure that the location is not prone to flooding. 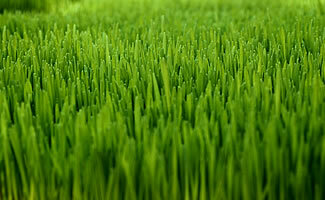 Second, ensure that the location receives a good amount of sunlight, or the grass will not be healthy. And third, ensure that the area has a good layer of soil, and is not too riddled with rocks. Once you’ve chosen a location, you’re ready to get started. Mark out the section of ground you want to work worth. Now, soil must be excavated up to a depth of about 20 inches (51cm.) Do this in the rough shape of the green you want. You will now have to get an idea of how you want the surface of green to be. It should have slopes to challenge you, but it must be carefully considered that indents can be very challenging to keeping a green healthy. Indents tend to gather water when it rains. Whatever your design, be sure that there is a gradual slope away from the centre of the green, to help with drainage. To also help with drainage, keep a trench on the outer rim of your green, where water may gather and drain away. This is essential in avoiding a soggy green that turns into a marsh during rainy seasons. You are now ready to lay your green. First, put a 4 inch (10cm) layer of pea gravel, and compact it. On top of the gravel, put a 2 inch (5cm) layer of sand. And now the top layer of 14 inches (35cm) of topsoil. And now, of course, you can create the grass layer in the method that most suits you. If you have the patience, you can seed the soil and care for the grass until it matures. You might want to get cosy with your favourite online casino while you wait. Or, for those with less patience, the grass can simply be bought and laid down. In the second case, some work will be required trimming the grass portions to fit your green. Either way, the result will be your own personal practice green. Happy putting.